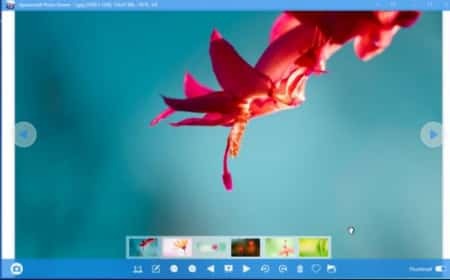 Best Photo Viewers for Windows 10: The arrival of Windows 10 brought important changes and one of them was the generational change of applications that had existed. An example of this is the photo viewer, this was disabled to use its “Photos” application in windows 10. That means we don’t have the Photo Viewers as the previous versions of windows. Today we will go in search of the best photo viewer in Windows 10. Microsoft established a new application called Photos as the photo viewer for Windows 10. This new application is equipped with some ingenious features, but it is also somewhat problematic and the loading is much slower than the previous image viewer in windows. 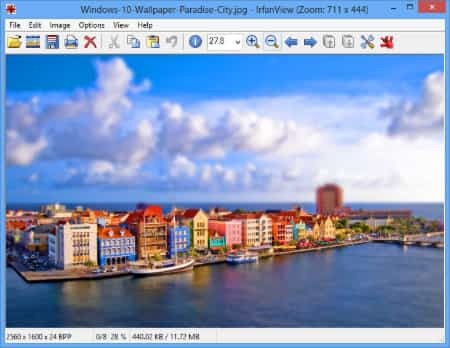 Therefore, many users want a new and fast image viewer on their desktop. If you would also like this, then it is better to check the alternatives of the image viewer for Windows 10 shown below. The below image viewers are the best image viewers for windows 10. All operating systems usually come with a list of native applications to perform the basic tasks of our day to day life. But many times these are too simple or lacking in options or quite the opposite. Which is why we may want to look for alternatives to find others that better fit what we need. These are the Best 8 Image Viewers for Windows 10. You can use them right away and enjoy the awesome features which they provide. Now let’s check them in detail. 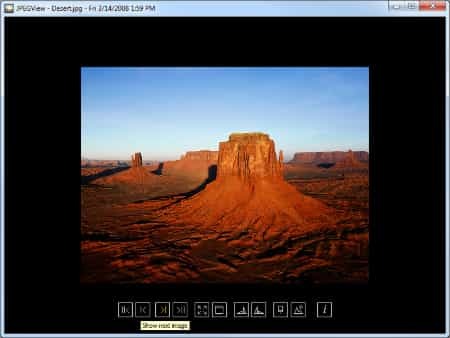 This image viewer is characterized by a very simplified interface and looks similar to the native Windows 10 application. It is also a very light and very fast application. We can open both basic formats of JPG, BMP, TIFF or PNG images, as well as professional editing formats such as RAW, PSD and CDR. We can download it for free on its website. In addition to this application, we have many more options such as streaming video recorders, converters, etc. Yes, it is in English. We also have the option to view the images in full screen with a simple click, and some basic editing options. Another interesting option is the possibility of capturing screens from this same software and style cuts Windows. so it is very practical and functional. 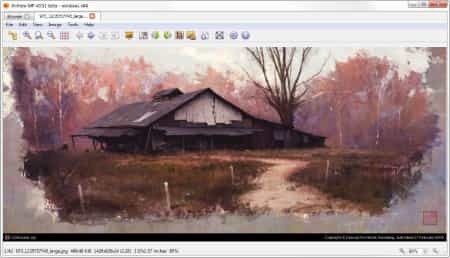 Another image viewer for Windows 10 is the FastStone image viewer. This program allows users to view and manage their photos at the same time. It is linked to an image editor. So that users can make some quick corrections to their images such as red-eye removal, trimming, etc. It also supports numerous image formats, including JPEG, PNG, TIFF, PCX and RAW files from digital cameras. This visualizer is one of the most complete that we can find. We can view photos in full screen and at the same time, we can use the pop-up menus by just passing the mouse along the sides of the photo. In addition, we will have a file browser integrated into it. So we will not need to close the photo to go looking for any of them. Another very interesting aspect is the possibility of making adjustments to the images, such as brightness settings, levels. We can also use an option to clone parts of the photo as well as the useful Photoshop tool. In addition to supporting the most common file formats. We will not have the possibility to open photos in RAW format and other professional edition formats. It is a very fast and versatile program and also with many more options than the rest of this list. This application works well and loads images faster than other paid image viewers. With this application, you can see images without delays, convert and optimize the photos as you wish. You can also Create slideshows and process the image in batch. Another interesting thing about this application is that you can scan images, as well as play music and videos. Which is rarely included in any other type of photo viewer. This application is one of the longest runs not because its development has become outdated. We can download it easily from your website. For this option, we will have an extremely light application, about 3 MB. So it will hardly occupy space. It is an agile application with very low consumption of resources and aimed at users who want to see the photos directly and without waiting. One of the most important options that this application has is that it is capable of opening files with a corrupted format. This is especially useful when we have used some program to recover deleted files and it is not possible to open them with other programs. This application is as simple as the previous one and we also have the option to open several photos simultaneously, but this is not the strongest point. The really interesting thing about this application is that it is capable of opening more than 500 extensions of image files. As for example FastStone, we also have a file browser and an option to view photos in both thumbnails and extended size simultaneously, which allows great agility in navigation. In addition to this, we also have the possibility of converting these images to other formats. Which we can not do with too many programs of this type. On its website, we will have several versions as XnView classic, a classic and basic version of the photo viewer, XnView MP, with more advanced functions and XnView Convert. Versions are also available for both Windows and Mac and mobile devices. It is another of those applications that allow to open the main formats of image files and consumes few resources and very little space. Its interface is very clean and all its options are based on contextual menus. So by getting used to it, we can take full advantage of its functions. We can download it from the below link as it is a free application. What we will have to do is run the program and look for the image or folder that we want to visualize. GNU / Linux users have plenty of options to view their photos. In fact, almost all desktop environments include your own, which we can then install on others. But if you had to choose, maybe one of the best options would be the gThumb viewer created for the GNOME desktops. The application allows you to view images, but also change their size, cut them, rotate them or make some basic adjustments to their colors. You can convert your formats, edit the metadata or organize them with bookmarks and catalogs. In addition, it also supports audio and video formats. You can Download the gThumg Photo Viewer for windows 10 from the below link. Okay, maybe the Windows users do not want a tool with several menus to lose, but a simple viewer like IrfanView to serve as an alternative to XnView. In that case, Viewnior is an excellent option. It is an extremely light viewer, very fast, minimalist and with support for GIFs. 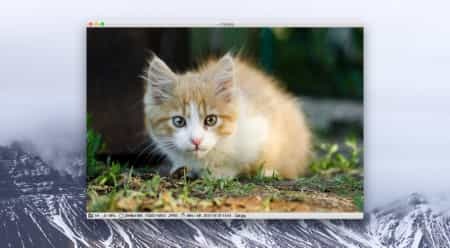 In addition to its support for animations, it allows slideshows and full-screen viewing, navigating only between hand-selected images, and displaying the EXIF and IPTC metadata. It allows to realize basic editions like the rotation, redimensión or trimming, and to establish an image like the bottom of the screen. It is available for Windows 10, Archlinux, Fedora, Debian, and Ubuntu, Slackware, Gentoo, and Frugalware, and we can also download the source code to take it to any other. If you’re a veteran user of Windows, you’re probably more than used to working with native photo and preview applications. But if you have moved to Windows or are looking for a more complete option. You may want to find an alternative similar to the ones we have been mentioning in the rest of the list. In that case, the best option is Xee, which will allow you to view photos as in Preview, but allowing you to easily navigate to all the contents of folders and files, move and copy images quickly with the compatibility of many file formats. On your website, you can download the Xee Photo Viewer for windows from the below provided links. Which one are you going to choose? If you bet for simplicity you have InfranView, JPEGView or Apowersoft. 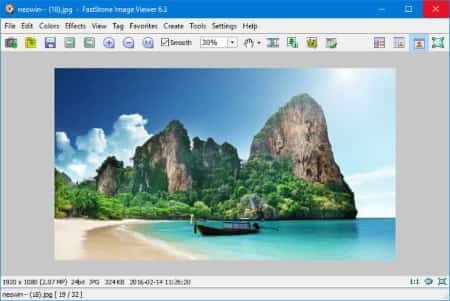 If what you want is a complete visualizer your option is FastStone, and if what you are looking for is maximum compatibility then that better than XnView. Hence, You have got all the 8 top photo viewers for Windows 10. You can choose the one which you like the most in the list of best photo viewers on windows 10 and download the best one. Hope you like the article and we would provide you with more awesome information like this. We hope we have covered all the best image viewers. If you feel we missed any then please comment them in the comment section. We will look in that and add into the list. Keep Tunned with Basictricks for More Tutorials.